In the ever Competitive marketplace we work in, standing out from the crowd has to be made a primary objective for any company – just to stand still, let alone grow! 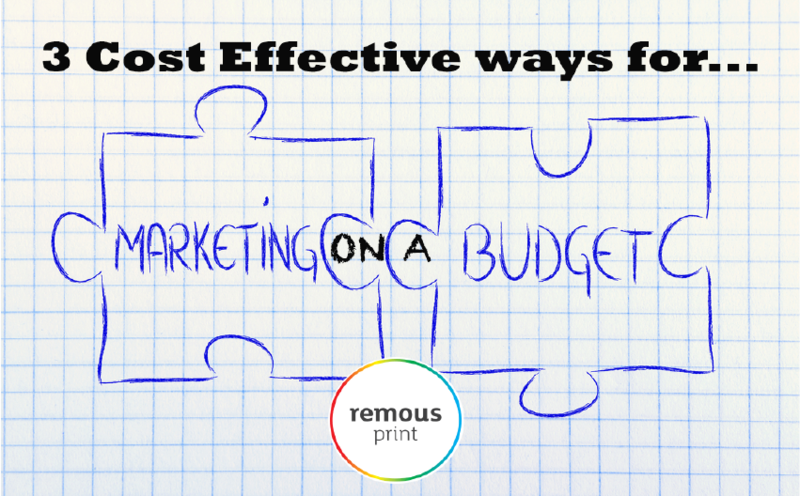 Marketing and promotion of your business can be expensive and time consuming so here are 3 easy and cost effective ways to promote your company on a budget. We support many clients large and small in promoting their company through design, printed materials and marketing in general. This sis sometimes seen as a black art but realistically it comes down to consistency of message and brand across the various platforms – one of which is print, more recently social media and of course face time with prospects. 1) Business Networking – Before you sigh! These can be very cost effective ways to get both your brand and you personality out there. Commonly arranged over breakfast there are generally an abundance on networking breakfasts in your area, they are a great way to promote your self and your company. Gain trust in the local area and of course start to give and receive referrals or leads in the local community. Some are free, some are the cost of a breakfast and some require subscription (such as BNI) As the meetings are early – they don’t encroach on your working day and you can also meet likeminded business owners who will no doubt have contacts or clients you may like to work with. The important thing to remember is you must go with a positive attitude, it may be out of your comfort zone but this is the case for nearly every one there! When you go along you must take a good supply of business cards and perhaps some printed literature about your company – People will take you seriously when you arrive with the right tools for the job and will carry that business card, as well as a small leaflet away to their office – generally for a review later in the day. 2) Sponsor An Event – Publicity can be wonderful, awareness of your company and brand is the first step toward gaining more business. A cost effective way to achieve this is to sponsor an event or even better hold a charity event. Organising and promoting an event can cost little more than time, but also sponsoring a local fun run or awards ceremony can also be achieved on a budget. What ever you decide to do, it is all about involvement, there is point even beginning if you haven’t really bought into it. The key to success is to use your branding and logo every where, negotiate some space on printed promotional flyers, stand in front of a pull up banner or exhibition popup with your logo and key facts printed on it for every photo! These need to be posted on the relevant social media (depending on your marketplace) which will gain even more exposure. 3) Social Media – This doesn’t mean cruising and getting distracted! LinkedIn is the biggest and most comprehensive business networking website in the world. It is free to register and using the comprehensive search tools you can identify prospects, connect with them (if you have their email address) or indeed send ‘Inmail‘ direct to prospects. You will need to take care in updating or creating your linked in profile to properly reflect you and your business PLUS making it attractive to these ideal clients. A very simple and cost effective way to stand out from the crowd is to send a prospect your company brochure in conjunction with the InMail to give that first marketing ‘touch’ before making the direct contact on linked. This can be your generic printed brochure which contains the headlines of your services or it could be a more market specific printed brochure which delivers a clear message about one of your services, specifically targeted in that print brochure only. There are endless ways in which you can promote your company on a budget, we understand that print is an investment, but with these tips and more on our blog you can use it wisely to deliver maximum return on investment, email and websites are starting to take a step back again as tangible marketing can deliver a quality feel and message where electronic media cannot. If you would like to discuss more ways to market your company or to get the best ROI from your printed media and marketing collateral please contact us to discuss.